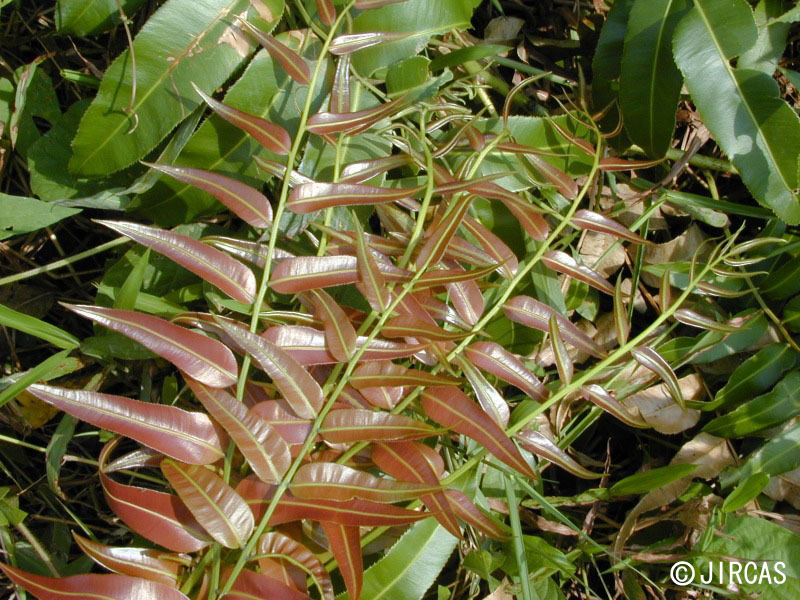 Midin (Stenochlaena palustris-source here ) is one type of jungle ferns that can be found in a tropical South East Asia countries. In Sarawak, these can be found in abundance, and it has become a very familiar vegetable dish especially in restaurants. Locally it is also being called milin or bilin. 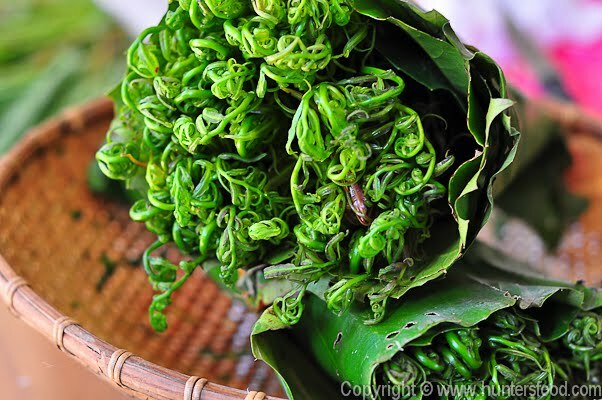 Before the commercialization of midin, the Dayak has been consuming midin for a very long time. However, they normally consumed the more leafy portion of midin which is also known as Paku Merah. 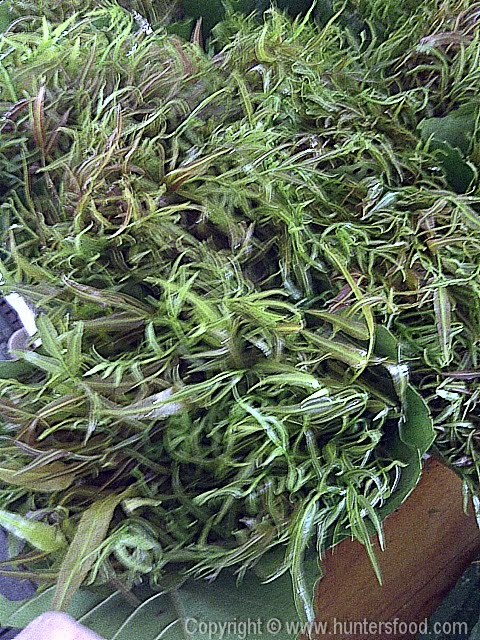 It is identified by its red color, and it'll turn to green when it is fully mature and become inedible. 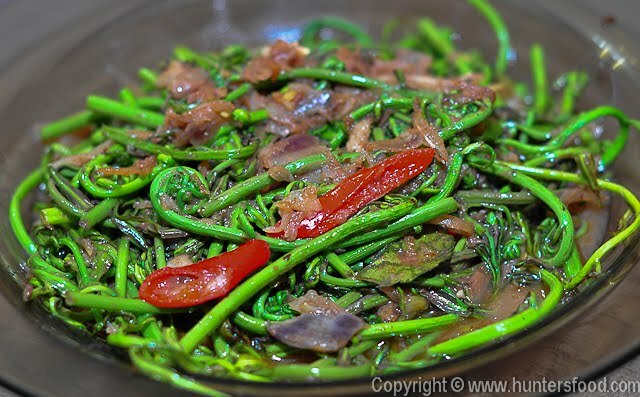 Since only the leaves are used and it produced less bulk when it wilted, they normally will add-in a bit more water to this stir-fried dish, or added into simple 'one-dish' soup which consist of few types of protein and vegetables. The recipe provided below is a simple daily home-cooked stir fried midin. The photos provided have the same recipe, with the leafy type is added with more water. 2. Smashed garlic. Saute with skin intact until golden brown. 3. Stir in the shrimp paste mixture until fragrant. 4. Stir in the midin for about a minute. Careful not to overcook. 5. Add in small amount of water. Add in salt to taste. Serve immediately. The younger shoot of midin. I really loved midin when we went over to Kuching and Kapit to visit close friends. It's something I miss so much when we're back here in Semenanjung. 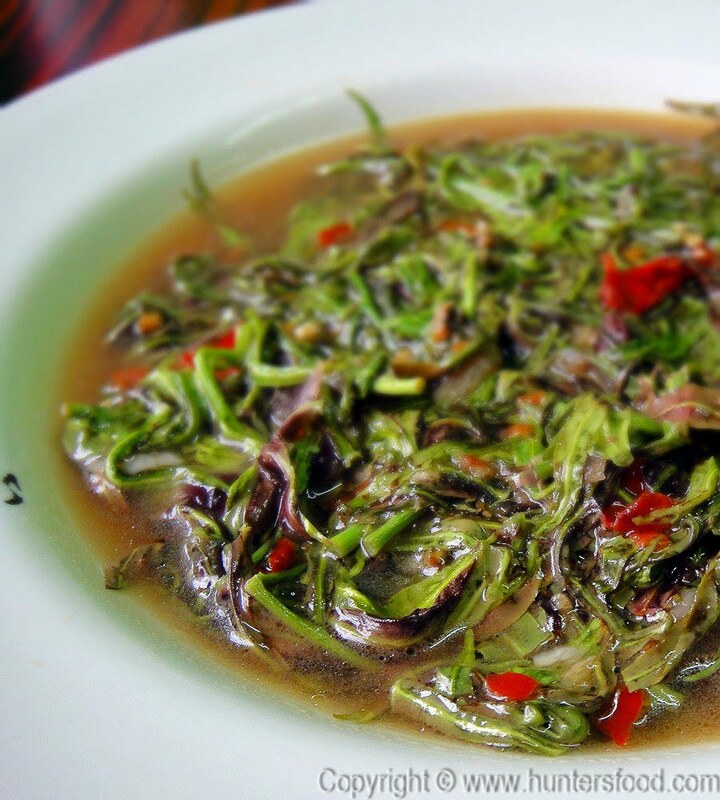 I'm quoting you on my website for a post on a few different foods we had in Sarawak. Thanks for upkeeping this blog!